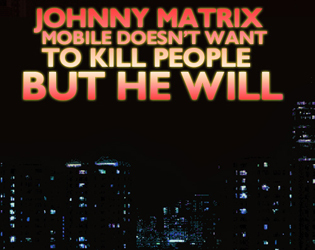 Johnny Matrix Mobile is a troubled, noble, murderous, good man. And he's confessing all of his sins, that had to be done, to his only friend left in the world, Goodman Yes. Over a thousand words of heartrending complex but justified justice! Exactly one ending!